Universal Pictures has just released a new Jem and the Holograms trailer, which you can watch below. As a small-town girl catapults from underground video sensation to global superstar, she and her three sisters begin a one-in-a-million journey of discovering that some talents are too special to keep hidden. In Universal Pictures’ Jem and the Holograms movie, four aspiring musicians will take the world by storm when they see that the key to creating your own destiny lies in finding your own voice. 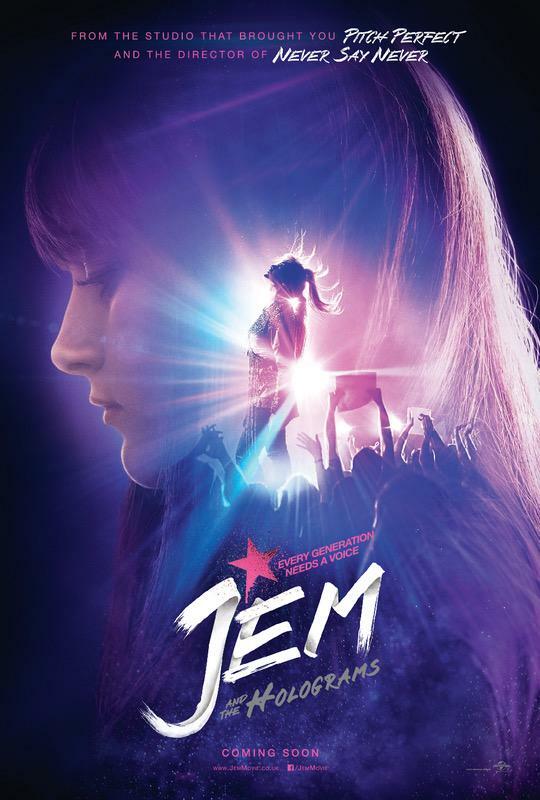 The musical adventure stars Aubrey Peeples as Jem, Stefanie Scott as Kimber, Aurora Perrineau as Shana, Hayley Kiyoko as Aja and Ryan Guzman as Rio. Molly Ringwald and Juliette Lewis also star in unrevealed roles. Created by Christy Marx, the original “Jem and the Holograms” series was a joint collaboration from Hasbro, Marvel and Sunbow Productions. It began airing in 1985 and ran for three seasons, following the adventures of the titular Jem, the musical superstar alter ego of a young woman named Jerrica Benton who, with the help of a holographic computer called Synergy, is able to clandestinely perform rock concerts with her friends. Directed by Jon M. Chu, the Jem and the Holograms movie is written by Ryan Landels and produced by Chu, Jason Blum for Blumhouse Productions, Scooter Braun for SB Projects, Bennett Schneir, and Brian Goldner and Stephen Davis of Hasbro Studios. 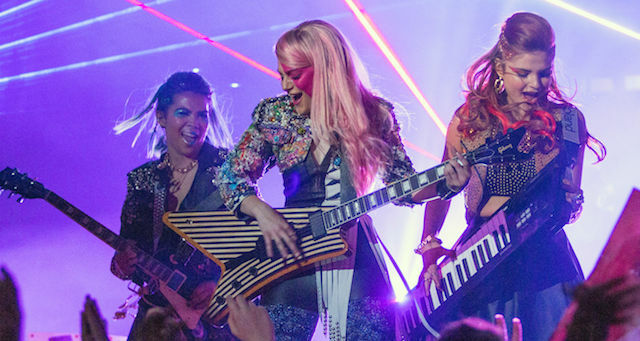 The Jem and the Holograms movie hits theaters on October 23.